Who Needs a Medical Card When They Will Be Killed Prematurely? 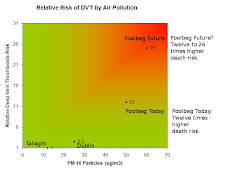 The planned Dublin Bay Incinerator at Poolbeg will cause up to 300 premature deaths per year (1). Perhaps that means an extra three thousand sick people per year. With 3,000 extra sick people why not sneak in Not-Universal American style health care! That adds to GNP, will increase growth, and will pull The Galway Tent out of the recession. The Bush controlled US Environmental Protection Agency values Human Resources at about $7.22 million(2). So let's get rid of health care for old people, they have no economic value apart from their life-time savings. A small incinerator in rural Tippereary was stopped by Bord Pleanala after lawyers for John Magnier’s Coolmore group had argued that the facility would be prejudicial to animal health. 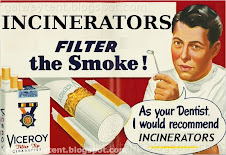 Ringsend Death Risk is 20-80 Times Higher With Incinerator. 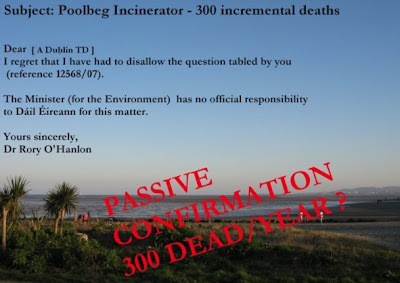 Environment Minister Passively Confirms 300 Deaths Per Year.